Live the sought after 100 block lifestyle on beautiful Balboa Island with an easy stroll to South Bay Front and all of the restaurants, shopping, and amenities of Marine Avenue. 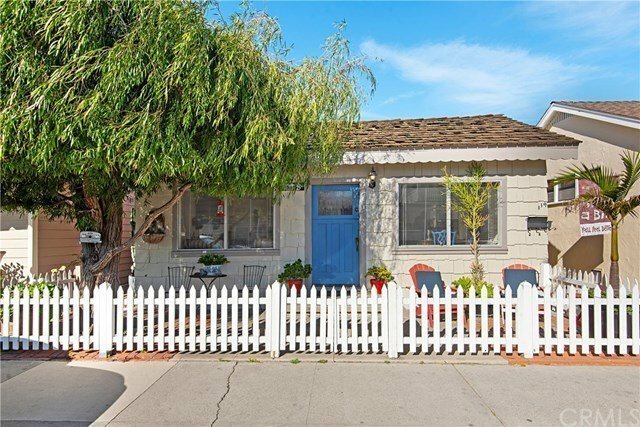 This is your prime opportunity to own a piece of Balboa Island's renowned beach cottage charm complete with a pristine white picket fence and brilliant baby blue dutch door. The front house is configured as a 3 bedroom 2 bathroom with bright open vaulted beam ceilings, living room fire place, hardwood floors throughout, and the master features an en-suite master bathroom. In addition the duplex offers a turn key income opportunity. There's a one bedroom one bathroom unit located over the garage with a private patio and its own separate entrance. Don't miss out on this wonderful well maintained classic Balboa Island cottage.